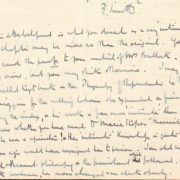 Smith writes to correct his previous erroneous comments regarding Marie Stopes and her work ‘Married Love’. He also mentions the Benevolent Fund and Janet Bullock editing his manuscripts. 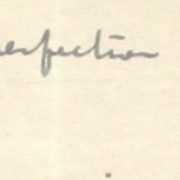 Smith thanks Bullock for contacting the veterinary school in Alfort, France, to try and acquire Gabriel Colin’s autograph. He also mentions Professor Milroy contributing to ‘Veterinary Physiology’, and the Royal College of Veterinary Surgeons council.